At the start of the month, the FDA proposed a new rule lowering the amount of fluoride that can be added to bottled water – presumably out of concern over rising rates of dental fluorosis, a condition that causes staining and pitting of tooth enamel during childhood. It has one cause: overexposure to fluoride. And indeed, a new study in JDR Clinical & Translational Research shows that rates of fluorosis are skyrocketing here in the US, where roughly two-thirds of the public water supply is spiked with fluoride. The authors analyzed data from three large health surveys conducted between 1986 and 2012. In the first, conducted between 1986 and 1987, 22% of the population studied had dental fluorosis. By the end of the third, the rate leapt again to 65%. The biggest overall increase was seen in the rate of moderate and severe cases of fluorosis – from 1.2% to 3.7% to a whopping 30.4%. This isn’t exactly surprising, however. Fluoride is everywhere these days – not just in tap water but all food and drink made with that water. It’s also in most major brands of toothpaste and many a rinse. It’s in many composite resins used for fillings and sealants. Many a dentist provides fluoride treatments. It’s not too hard to get far too much of the stuff – an element with toxic risks that we believe far outweigh any benefits it may provide. With any other “medicine,” consent would be required before administration. Not so with fluoride. If you don’t want it, it’s up to you to take steps to minimize exposure. Some of the main things you can do? Use fluoride-free toothpaste and other hygiene products. 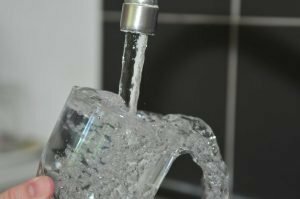 If you buy bottled water, opt for spring or mineral water instead of the common “purified” water, which is often just municipal tap water that’s received further filtration. Depending on the type of filtering used, fluoride may still be present. If you can get spring or mineral water in glass, even better, as it reduces the risk of plastic contaminating the water. Invest in a home water filtration system. Wellness Mama offers a good overview of the options here.